The Family Planning Centre - BALANCE is a facility offering both advice and medical care. With its concept of integrative counselling and care in the field of family planning and sexuality, the Family Planning Centre is currently unique among the Eastern States. In line with the tradition of family planning centres in the old federal states, BALANCE is a cross-disciplinary facility, undertaking the work of both a family planning centre and pregnancy information centre - with a multi-professional team of psychologists, therapists, gynaecologists, social workers, sexual education specialists, nurses, medical assistants, midwives and lawyers. BALANCE emerged in 1991 from the periphery of the round table on women's affairs. The not-for-profit, non-denominational and politically independent organisation called the Familienplanungszentrum Berlin e.V. (Family Planning Centre Berlin) was founded in 1992. Its institutional investors are Pro Familia Berlin e.V. (a non-governmental association promoting sexual health and rights) and Frau und Familie e.V. The organisation is a member of several social organizations. Furthermore, as a result of our focus on the specific issue of female genital mutilation, including counselling and treatment in the centre as well as public awareness raising, the FPC is also represented on the STOPP FGM in Berlin/Brandenburg round table and on the German network against female genital mutilation (INTEGRA). The facility is funded by financial support from the City of Berlin; payment through health insurance schemes for the services offered; specific project grants (from the Aktion Mensch trust, Federal Centre for Health Education (BZgA), etc. ); contributions made by clients; and donations. The centre is accessible to all and has consultation and examination rooms and WCs with wheelchair access. You can park for free in the underground parking area with direct lift access. We provide information and advice on all issues related to health, sexuality, contraception, pregnancy, pregnancy termination and partnership. We can carry out the termination of a pregnancy through surgery or with medication here in the centre. Our employees are all sworn to confidentiality. Consultations can be anonymous if requested. We charge a fee or share the costs for certain counselling services (individual, couple or group sessions) and medical services. Openness with regard to both gender and culture is a guiding principle at all levels of the centre, both when developing our services and selecting appropriate methods as well as for budgeting and personnel policy. 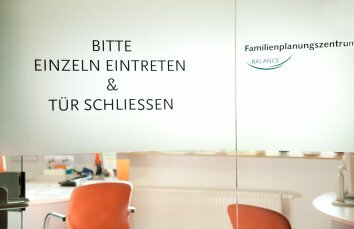 We support immigrants through cooperation with the Office for Medical Assistance for Refugees (Büro für medizinische Flüchtlingshilfe) and the Berlin community interpretation service.